Surfside Movers – Discount South Florida Movers has been doing the heavy lifting of people moving for over many years. We want to use that experience to help you move. Our team of professionals will set your mind at ease that your moving experience will be swift and painless. At Discount South Florida Movers, we take your satisfaction seriously. We guarantee that you will happy with your move. Whatever your moving needs are, the experts at Discount South Florida Movers have seen it before. He supervisors that are present on every job site can guide you through the process and accommodate special requests. No matter the distance we can help you as well. Short or long distance, we do it all. We will remove all of the headache from the move and all at the lowest rates in town. Surfside is a town in Miami-Dade County. This small town of 6,000 is located along the coast of the Atlantic Ocean in the north east part of the county. Nearly half of the cities area is comprised of water, with only half a square mile of land. Almost a third of the residences in the town were vacant as of 2010. There are many attractions for both residents and visitors to the town. From July to October, there is a beach picnic on the first Friday of every month. There are many hotels and resorts on including the Grand Beach Hotel, Solara Surfside Resort, and Sun Harbour Boutique Hotel. The town also has several electric car chargers as well as many bike rental locations. 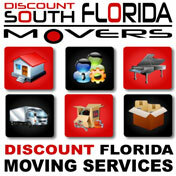 Discount South Florida and Surfside movers provide low rates on residential, commercial, piano and long distance moving.